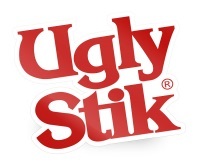 Watch our awesome 45 second video! 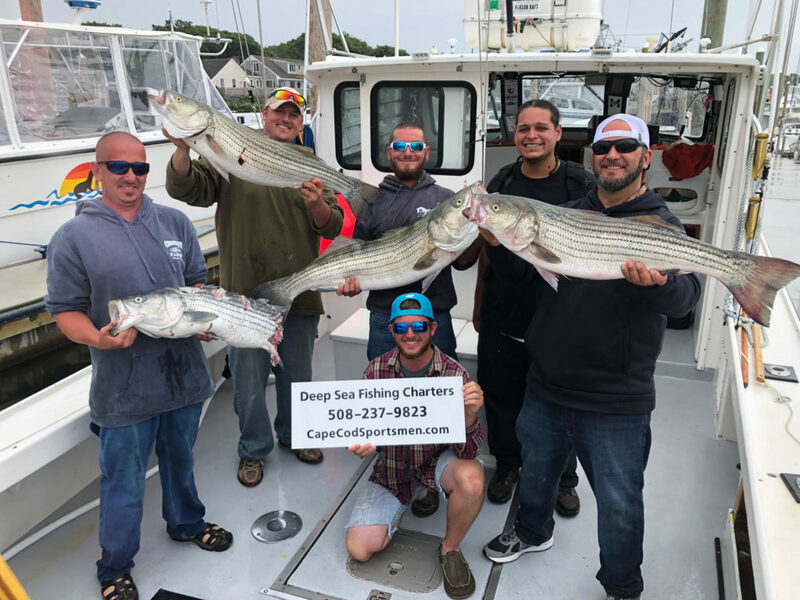 Captain Len Greiner has been running Cape Cod fishing charters for 20+ years. His knowledge, experience and sense of humor will ensure you to have a safe, productive and enjoyable trip. "The man is a fish whisperer and no mistake. He knew exactly where to go, what lures to use and in about 2 hours, we caught about 20 fish all well over 36". 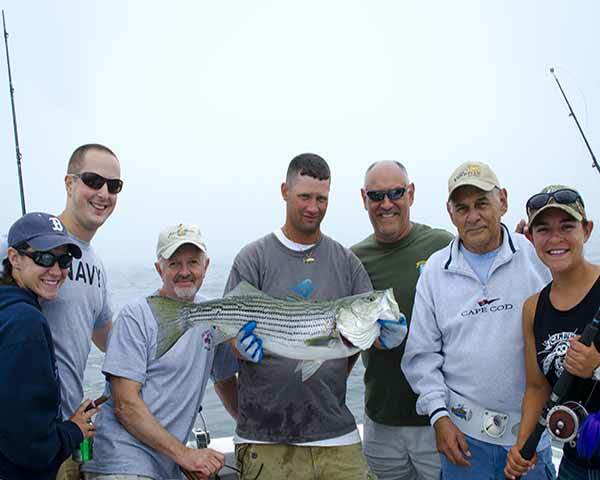 We were throwing back 3-foot stripers because we had reached our limit!" 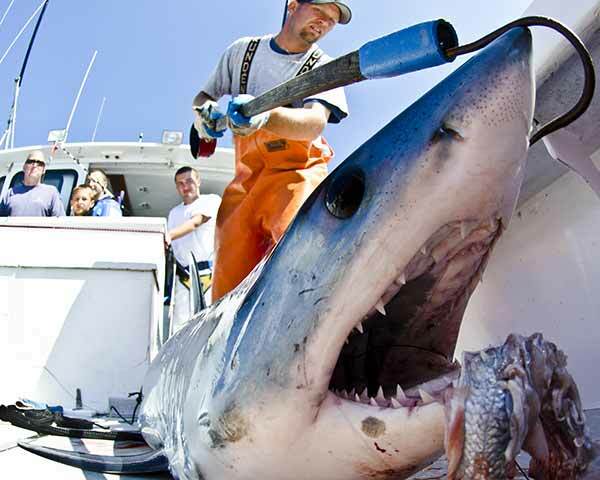 "I just wanted to register our appreciation for what was a world class, epic fishing trip. Having you as Captain makes the charter more than memorable – absolutely incredibly memorable!" "The boat he guides you in is of proven design for the inshore rips as well as off-shore waters, and it has been custom engineered to his specifications for angler-comfort and multi-species fish catching. " "Aside from the fishing the wildlife was beautiful and Captain Len even made a special trip and took us by Monomoy Island on the way back to Harwich Port to see the seals. " 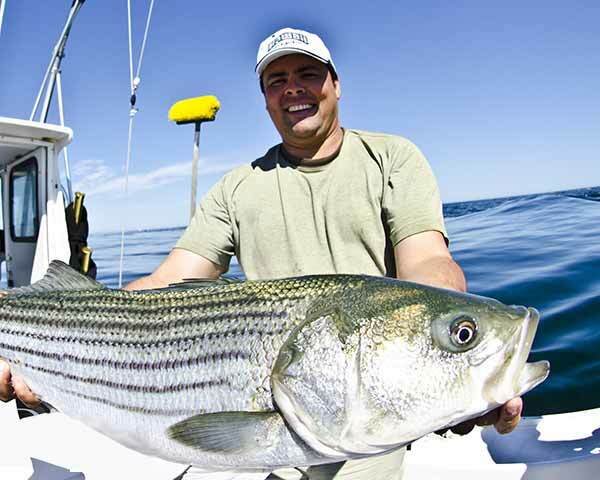 Cape Cod fishing charters for striped bass, blue fish, fluke, tuna, sharks, sea bass, porgies. This year's fishing season is filling up. Book soon to avoid disappointment! Attacks striped bass off Cape Cod, MA!! 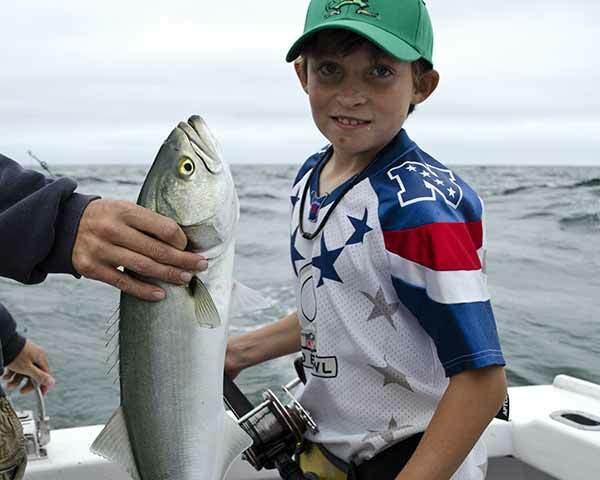 Our boat is customized for fishing the waters off Cape Cod, and captained by a U.S.C.G. Licensed Master. Looking forward to a safe, enjoyable trip? Read our quick list of things to bring, and what to leave at home.